This article will focus on overcurrent protection and conductor sizing for low-voltage transformers. 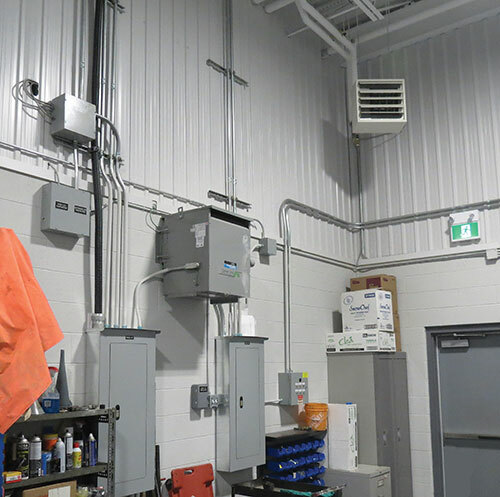 As a reminder, low voltage is defined in the Canadian Electrical Code (CE Code) as any voltage exceeding 30 V but not exceeding 750 V. To start we will look at transformer overcurrent protection. Overcurrent protection for transformers can be in the primary circuit only, or in both the primary and secondary circuits. The first CE Code rule to look at is Rule 26-256. Subrule (1) of Rule 26-256 mandates overcurrent protection used in the primary circuit only, and limits this protection to a maximum of 125% of the dry-type transformer rated primary current. As an example, a 30 kVA 3-phase transformer with a rated primary voltage of 600 V has a rated primary current of 28.87 A. 125% of this rated primary current is 36.09 A. Subrule (1) limits the primary overcurrent protection in this case to a standard setting or rating of 30 A for a circuit breaker or 35 A for fuses (not greater than 36.09 A). As 36.09 A (28.87 A x 1.25%) does not correspond to the standard rating of the overcurrent device, Subrule (3) represents a notwithstanding clause to Subrule (1), and it allows the next higher standard rating of overcurrent device to be used. 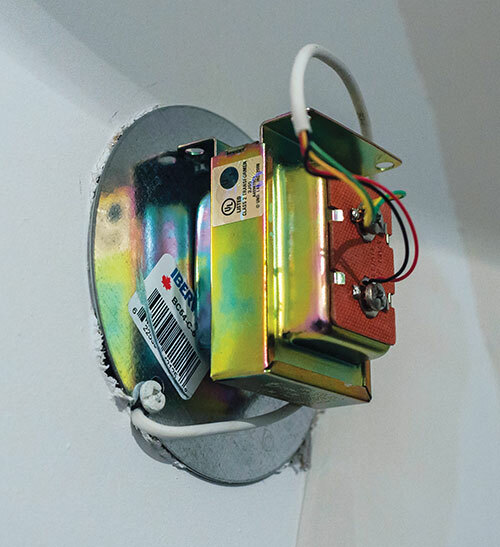 This would allow a 40 A fuse or circuit breaker. Keep in mind that an increase in the overcurrent protection size may require a larger conductor to satisfy Rule 14-104. (1) Except as permitted in Subrule (2), each ungrounded conductor of the transformer feeder or branch circuit supplying the transformer shall be provided with overcurrent protection rated or set at not more than 125% of the rated primary current of the transformer, and this primary overcurrent device shall be considered as protecting secondary conductors rated at 125% or more of the rated secondary current. (2) Notwithstanding Subrule (1), a transformer having an overcurrent device on the secondary side set at not more than 125% of the rated secondary current of the transformer shall not be required to have an individual overcurrent device on the primary side, provided that the primary feeder overcurrent device is set at not more than 300% of the rated primary current of the transformer. (3) Where a value not exceeding 125% of the rated primary current of the transformer as specified in Subrule (1) does not correspond to the standard rating of the overcurrent device, the next higher standard rating shall be permitted. Subrule (2) allows overcurrent protection in the primary circuit to be set as high as 300% when overcurrent protection is installed in the secondary circuit set at not more that 125% of the secondary rated current. Keep in mind, Subrule (3) allows the use of the next higher standard rating of overcurrent device to be used in the primary circuit but not in the secondary circuit. Continuing with the 30-kVA example, the rated secondary voltage of 208 V has a rated secondary current of 83.27 A. 125% of the 83.27 A is 104.09 A. As a 104.09 A overcurrent protection is not available, the maximum secondary standard overcurrent protection available would be 100 A. Not all low-voltage dry-type transformers are required to comply with Rule 26-256. 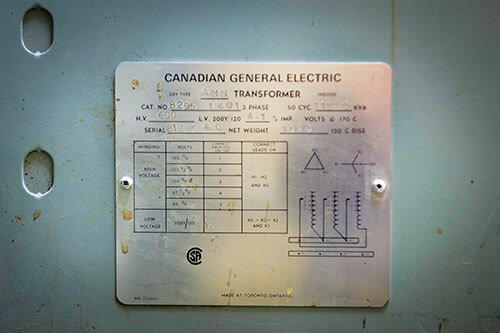 As an example, transformers used for control circuits in control panels are allowed primary overcurrent protection in excess of the percentages required in Rule 26-256. CSA Standard C22.2 No 286 Industrial Control Panels and Assemblies allows the primary circuit protection to be set at a maximum not greater than 500% for transformers with a rated primary current of less than 2 A; 167% for transformers with a rated primary current from 2 A to less than 9 A; and 125% for transformers with a rated primary current of 9 A or more. Another example of transformers with overcurrent protection only in the primary circuit that is allowed to be greater than the requirements of Rule 26-256 is a Class 2 transformer. As an example, the rated primary current of a 100 VA Class 2 transformer with a 120 V rated primary voltage is 0.83 A. Due to the current limitation of the Class 2 transformer as detailed in Section 16 of the CE Code, the transformer is allowed to be on a 15-A branch circuit. Now we can look at the requirements for sizing conductors for transformers. The main rule to follow is CE Code Rule 26-258. Subrules (1) and (2) require transformer primary and secondary conductors to have an allowable ampacity of not less than 125% of the rated current. (b) not less than the sum of the rated primary currents of all transformers plus 25% of the rated primary current of the largest transformer for a group of transformers operated in parallel or on a common feeder. (b) not less than 125% of the sum of the rated secondary currents of all the transformers operated in parallel. (3) Notwithstanding Subrules (1) and (2), primary and secondary conductors shall be permitted to have an ampacity rating not less than that required by the demand load, provided that they are protected in accordance with Rules 14-100 and 14-104. (4) Where multi-rating transformers are used, the primary and secondary conductors shall have an ampacity rating not less than 125% of the rated primary and secondary current of the transformer at the utilization voltage. Subrule (3) of Rule 26-258 allows the transformer primary and secondary conductors to have an allowable ampacity less than 125% of the transformer rated current provided adequate overcurrent protection is installed to satisfy Rules 14-100 (the tap rule) and 14-104 (conductor overcurrent protection rule). 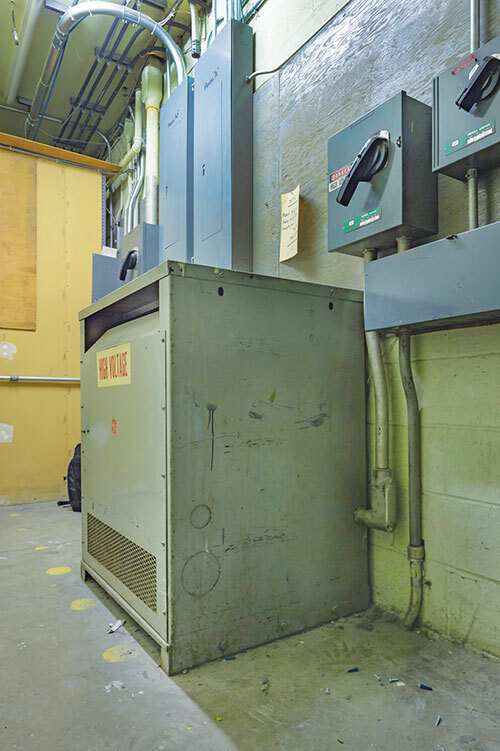 As an example, consider a 112½ kVA three phase transformer with a rated primary voltage of 600 V and a rated secondary of 208Y/120 V. The rated primary current is 108.26 A, and the rated secondary current is 312.28. 125% of the rated primary current (108.26 x 1.25) is 135.32 A. As 135-A circuit breaker or fuses are not common, options available are to decrease the setting of the overcurrent protection to the next lower standard size 125A, or increase the overcurrent protection to 150 A as allowed in Subrule (3) of Rule 26-256. Looking at the first option of decreasing the primary overcurrent protection to 125 A: Subrules (1) and (2) of Rule 26-258 mandate that primary and secondary conductors must be sized at not less than 125% of the respective primary and secondary currents. However, Subrule (3) allows the reduction of the primary and secondary conductor size, provided the conductors are protected in accordance with Rules 14-100 and 14-104. To determine size of the primary conductors, simply verify that correlation between the primary overcurrent protection and the selected ampacity of primary conductors is consistent with Rule 14-104 (including relaxations of Table 13, if appropriate). To determine the size of secondary conductor requires we start with the ratio between the primary and the secondary rated voltage of 2.88 (600/208). Multiplying the size of the primary overcurrent protection of 125 A x the ratio of 2.88 shows the secondary conductor will need an allowable ampacity of 360.58 A. In this example, secondary conductors with an allowable ampacity of 360.58 A is in accordance with Rule 14-104, including relaxations of Table 13. As an alternative, a smaller secondary conductor can be installed with the panelboard that has a main circuit breaker with a current rating not exceeding the smaller secondary conductor allowable ampacity, and provided the length of the smaller conductor is with the limits of Rule 14-100. This option is also affected by Rule 26-260 that directs code users to Rule 8-104 mandating the maximum continuous load allowed. Assuming the 125 A overcurrent device has a maximum continuous current marking of 80% the maximum continuous load at 600 V is 100 A (125 x 80%). This effectively limits the 112½ transformer to 103.92kVA (100 A x 600 V x 1.732) One more thing to keep in mind with this option is the inrush current of the transformer. The Appendix B note for Rule 26-256 recommend that to avoid unintended operation due to transformer inrush current, the primary overcurrent device should be able to carry 12 times the transformer rated primary full load current for 0.1 seconds, and 25 times the transformer rated primary full load current for 0.01 seconds. Let’s now look at the second option of increasing the overcurrent protection to 150 A; based on Subrule (2) of Rule 26-258 the secondary conductor with an allowable ampacity of not less than 390.35 A (312.28 A x 1.25%) is acceptable. Note: the primary 150 A rated overcurrent protection is seen at the secondary as 432 A (based on the primary and secondary voltage ratio), will adequately protect conductors with ampacity of 390.35 A in accordance with Table 13. 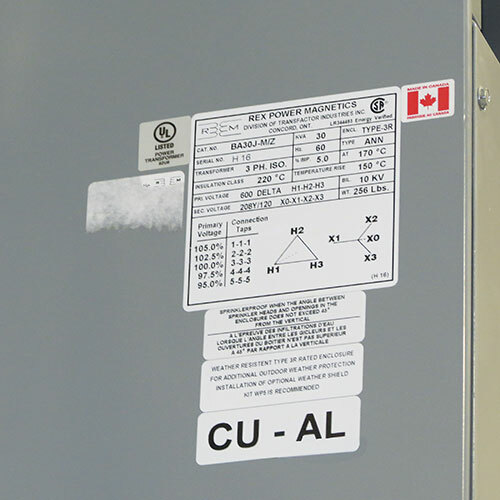 One thing to keep in mind is the rating of a load centre (a panelboard without a main overcurrent device) must be in accordance with Subrule (2) of Rule 14-606. This subrule requires the panelboard to have a rating in amperes not less than the primary overcurrent rating in amperes multiplied by the ratio of the primary to the secondary voltage. With the primary 150 A overcurrent protection, the panelboard on the secondary will need to be rated not less than 432.69 A (150 A x 2.88). This means that a selected load centre (panelboard without a main circuit breaker) will have to be rated not less than 600 A. As an alternative, a 400 A secondary panel with a main 400 Amp main circuit breaker could be installed, this would also allow reduction in the size of the secondary conductor provided the conductor had an allowable ampacity of not less that 400 A, and is limited to a maximum of 7.5 m to satisfy the tap conductor requirements in Rule 14-100. Steve Douglas is an IAEI International Past President. He is also the Senior Technical Codes Specialist for QPS Evaluation Services. As the International Association of Electrical Inspectors Representative on Part I and Part II of the Canadian Electrical Code, Steve is the Vice Chair of the CE Code Part I, Chair of CE Code Part I Subcommittees for Section 2, and 12, and a member on Sections 40, 64, 68, 76 and Appendix D. In addition Steve is the Chair of the CSA Standards C22.2 No. 273 Cablebus, C22.6 No. 1, Electrical Inspection Code for Existing Residential Occupancies committee the Chair of the SPE-1000 Working Group, and a member on committees for the Objective Based Industrial Electrical Code, Safety Management Systems, Solar Photovoltaic Modules, Industrial control panels and assemblies, Photovoltaic Cable, Fuel Cells, Wind Turbines, Distribution transformers, Outlet Boxes, and Wiring Fittings Hardware and Positioning Devices. Electrical Safety — It is Time to Get Serious! Field Evaluation/Special Inspection – What is it about?